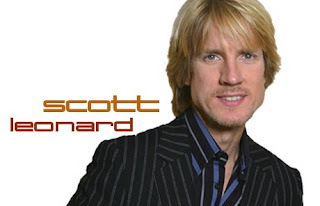 The Showbiz Wizard: ROCKAPELLA'S SCOTT LEONARD! 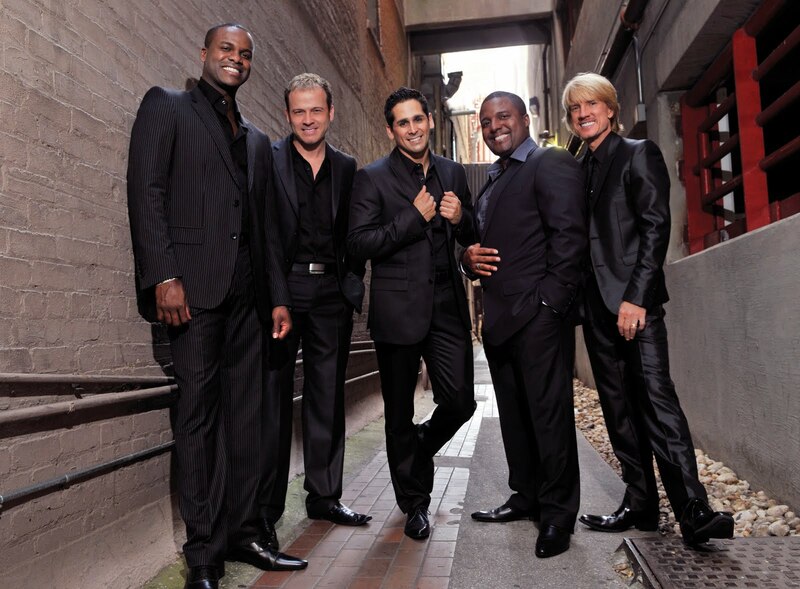 MICK: "Bang" Is Rockapella's latest album, the first since 2002. Why so long between albums? SCOTT: We did do a live album in 2004. I was busy with other projects. Had a couple solo records come out. I guess we were in a transition going into the lineup we have now which I feel is the best we've ever had. This is an all original album, the first since the mid 90's. The thing about Rockapella, playing live the audience always gets it and I'm not sure we ever captured that on a record yet. There is always something missing. This album comes close because it's a more different approach than it has been in the past. Very polished with an engineer. It really captures the energy of Rockapella without being overproduced. MICK: Is the album out now? SCOTT: Yes, it came out in October. It was just available digitally through I Tunes but now the CD is out, just like the old days! MICK: When you recorded "Where In The World Is Carmen San Diego", did you have any idea how popular it would become? SCOTT: No, we really didn't. I thought I'd only be doing this for a few years. It didn't start out big as it was on PBS. The producing was so good and the creative team was so good. There wasn't anything else like it on TV for kids and their families. The learning and geographical aspect really stuck and lasted for a lot of years. It was our first national exposure. Before that, we all had day jobs. It really was a platform from which we were able to make a career and see the world! MICK: Being that Rockapella uses no musical instruments, when you write a song, do you use an instrument and what exactly is the process? SCOTT: I use the piano. Writing a song is like writing any song. There's chords and a melody. The difference is that when arranging for Rockapella, it is similar to a band as there is a bass with drums with guys doing it with there mouth. There is a melody like any song has. The other two guys fill in creatively so the people don't miss the rhythm guitars and other instruments. It's a craft I've been doing for over 2o years and it's like breathing for me now! It's very unique to use just these five elements and keep it interesting. It's like a puzzle where you try to melt the inspiration musically from your heart with your brain. It's a mathematical creative challenge that I enjoy. MICK: I've read that after working in Japan for 2 years in the 1980's, you became fluent in Japanese. How hard was that language to learn? SCOTT: I sang with a Japanese band over there so I was kind of immersed backstage in Japanese, which is the best way to do it! The best way is to be thrust into the atmosphere where that language is all around you. That is a fascinating country, especially for a guy who grew up in Indiana. To this day, Japan is like a second home to me. We go there on tour every year. We also go to Germany a lot and I am from German ancestry so I took an interest in their language. After a while, I was able to do a show over there in German. It shows the people that you care when you learn their language. We not just ugly Americans! MICK: Has Rockapella ever recorded a song in Japanese? SCOTT: Yes we have! When we were doing Carmen San Diego, we were offered a deal here to do kids records for some big companies. But we had original music. I had just recorded a record in Japan and I hooked up my record company with Rockapella. Japan had never been exposed to contemporary acapella. The way Rockapella did it really caught on in Japan to the extent that they had an American Japanese Idol Show with all acapella groups and it was a number one show! The music on the radio over there wasn't as regimented as it is here so they would play our music along with all kids of other music. Our first hits over there were English versions of there own hits over there. We did a Christmas song where I sang in Japanese. MICK: I've read that Stevie Wonder was a big influence on you. Have you ever performed with him? SCOTT: I've never even met him! He is probably the reason I got into music. I just love the way he sings and I've tried to emulate that. Beyond the singing, his creative juices were so into me. His is our generation's or century's Mozart. His music seems like it has always existed and he just plucked it out of the air and it is perfect! And I've always been fascinated by the great lyricists from Cole Porter to Johnny Mercer to Stephen Sondheim. I love how they transfer that intellect and importance on the words into pop music. Somewhere between Stevie and Stephen is my approach to writing original music. MICK: Do you keep in touch with former members of Rockapella? SCOTT: Yes, all the time! Sean, who was one of the first guys in Carmen San Diego and is the godfather of Rockapella as far as I'm concerned, I hear from all the time. He has his own band and is very active in the music world. Elliott has a jazz trio and I hear from him a few times a year. Berry does a lot of voice overs as he has a very deep voice. He was the voice of Tony the Tiger! He is doing well. Everybody is still in touch and friendly. Kevin Wright, who had replaced Sean, retired a year ago. As each guy retires, you lose some of the personality and whatever he added to the band. But we get to hand pick from the stellar talent that is perfect for that slot. So you lose some of the original recipe but technically, Rockapella has never been better than it is right now. MICK: What would you consider your most memorable moment? SCOTT: In the first year that we did Carmen San Diego, we did a Whoopi Goldberg HBO special, we did Madison Square Garden with Billy Joel, we did a Taco Bell commercial, we did the Tonight Show on New Year's Eve! This was when Jay Leno had just taken over for Johnny Carson. I remember being behind that curtain on the show and that moment really sticks in my brain. MICK: What is your favorite Holiday song? SCOTT: I love Christmas songs. In the beginning, Rockapella was three Jews and me! Japan equates Christmas music with acapella music so we did a Christmas album. I really like the Chipmunk Song and we do that song now in a newer funky version. MICK: Are any of your children musically inclined? SCOTT: They really are! My son, who is a senior in high school this year, is going to pursue a career in percussion as he's a percussion major. He has a band and wants to go for the whole thing. My daughter is an incredibly gifted dancer and singer. She's 11 and just getting her feet wet. My wife was a dancer at Disney World when I was singing there so I don't think there's any hope for our children to go any other way! MICK: What's happening in 2011 for Rockapella and yourself? SCOTT: We want to do a new Christmas record. We will be promoting "Bang" around the world. There is a new Rockapella cruise this month. We will be touring Europe and Asia again. We've been speaking with the Boston Pops and will be doing the holidays with them this year. That's a thrill for me as I grew up with Arthur Fiedler and the Boston Pops. If I'm with the Boston Pops and they do "Sleigh ride", I just might have to retire after that happens! That's still in negotiations. Just wanted to point out that Scott was not the founder, nor was one of the founders of Rockapella. The founders were Sean Altman, Elliott Kerman and 2 other Brown University alumni, and they formed the group in the 1980s. However, Scott did join the group in its early stages, in 1990 if I'm not mistaken, and has become the main composer and arranger of the group since. Hi! My name is Mick Du Russel, Long Island based writer...on here to share my stories and knowledge on my very interesting life, Long Island celebrities and entertainment in general. Please feel free to leave comments or suggest stories!